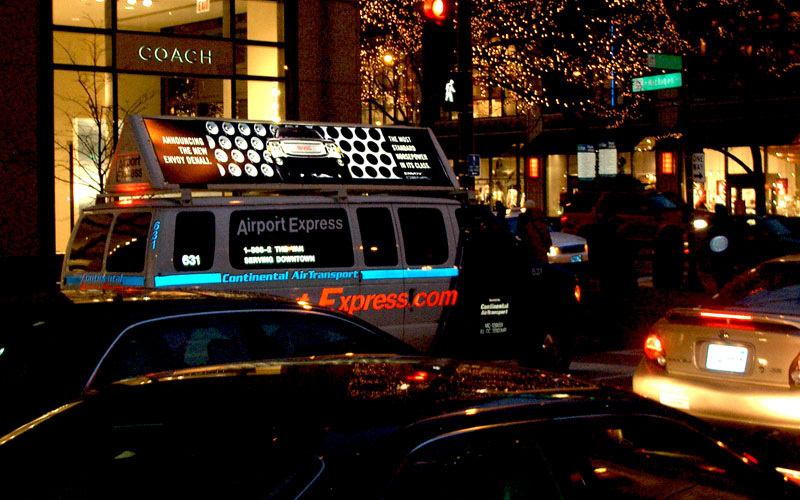 Unlike conventional transit king or queen sized ads, these tops are 100% backlit, offering continued exposure before sunrise and after sunset. 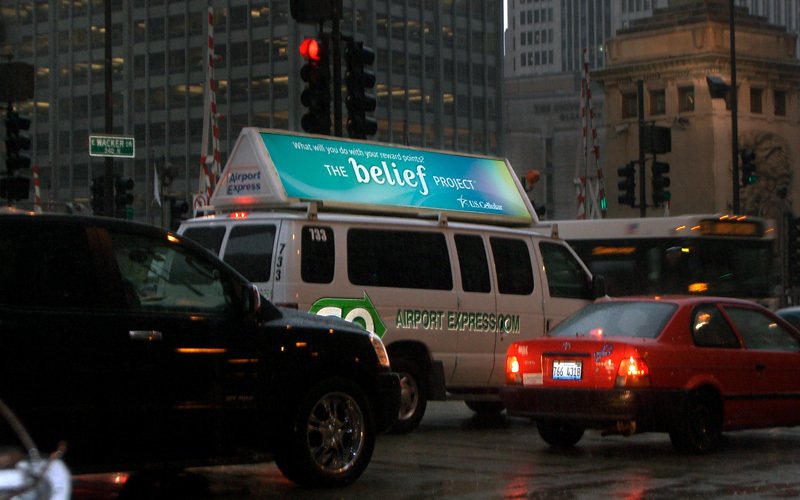 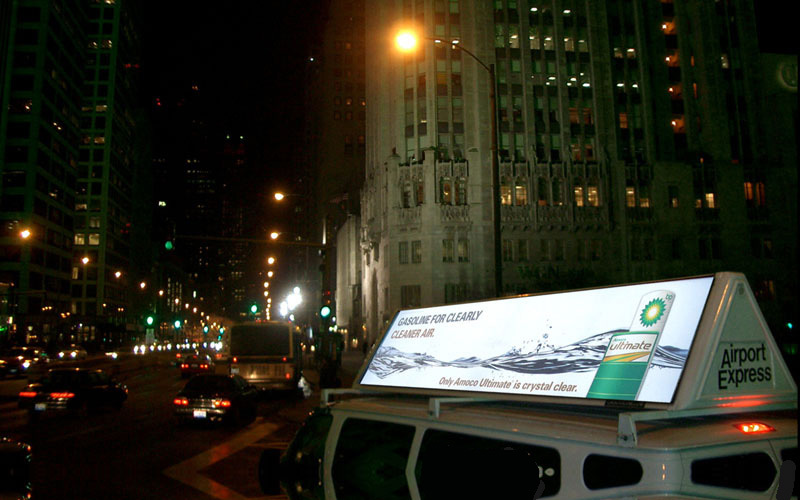 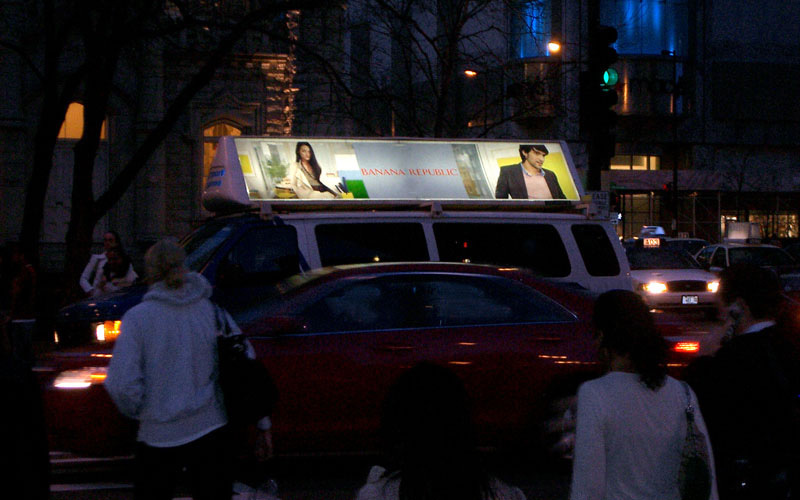 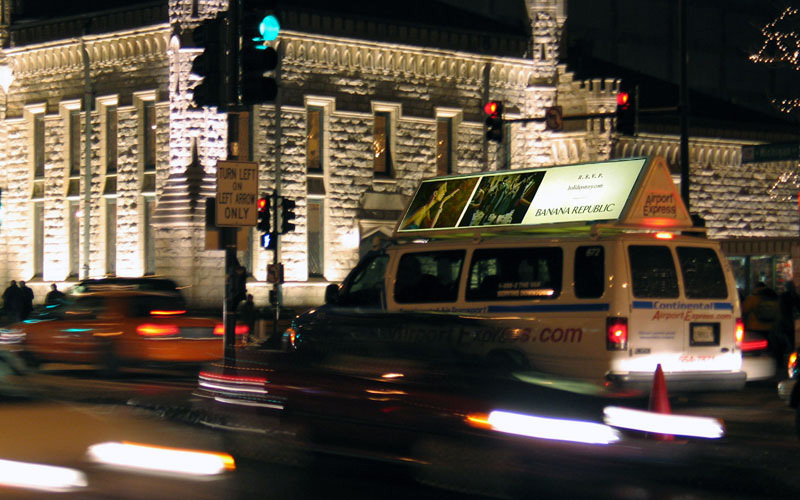 Another point of difference is that the ads are housed in shuttle tops, resting on the roof of the vehicles, which enhances ad exposure, even when the vehicle is in the middle of several lanes of traffic. 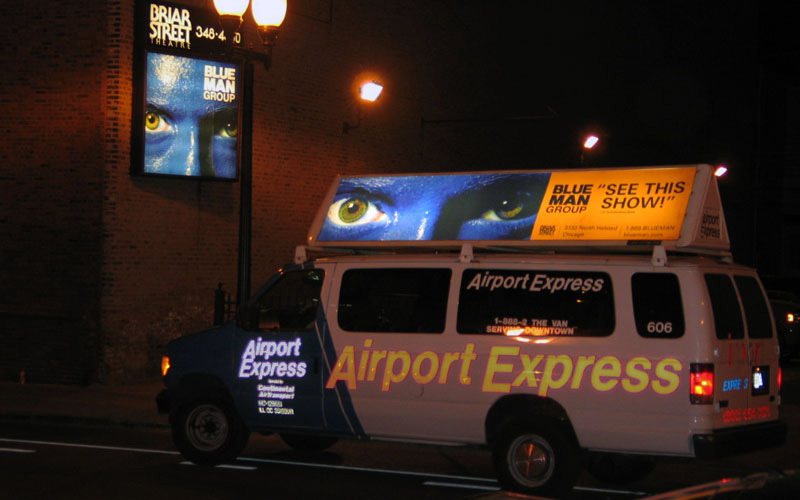 Will reach significant audiences both in the traveler and urban center business community.